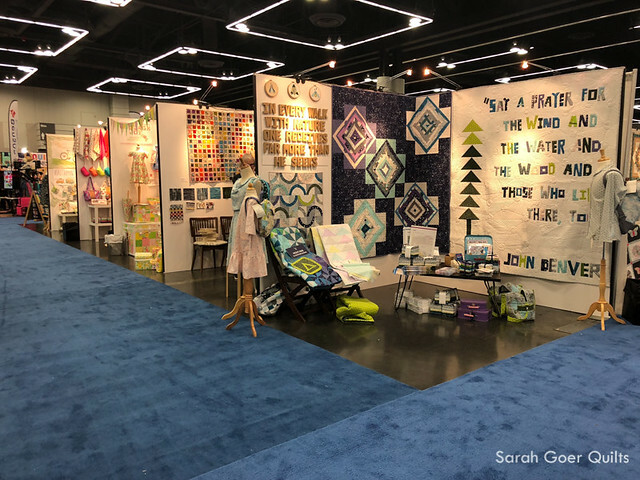 International Quilt Market was in Portland, Oregon this month. That meant it was close enough for me to make a whirlwind one-day trip up and back to check it out. I took the 8am flight up to Portland and the 9pm flight back to San Jose. These were the earliest and latest direct flights of the day. The light rail runs from the airport to the convention center which made transportation once I was in Portland super convenient. My first stop was the Andover booth. I got to see Giuseppe's North quilt (made in Alison Glass fabrics) in person. Beautiful! 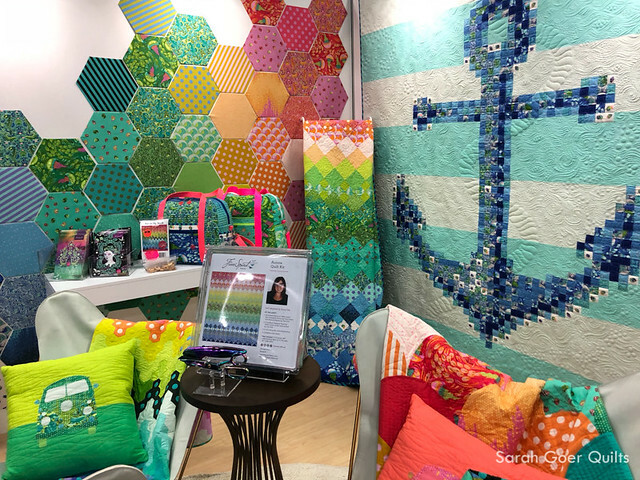 My prime motivation was to check it out in person so that when I think I'm ready to have a booth at Market to feature my patterns I would have an idea of what to expect. 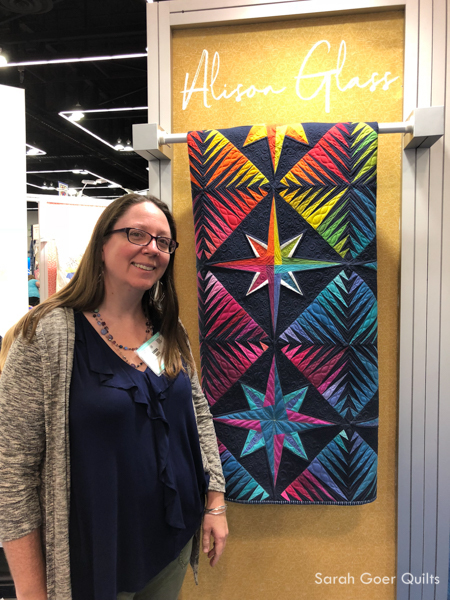 As a beginning independent quilt pattern designer, I feel like the event isn't really for me (at this stage), but I learned so much from attending and had a great time. 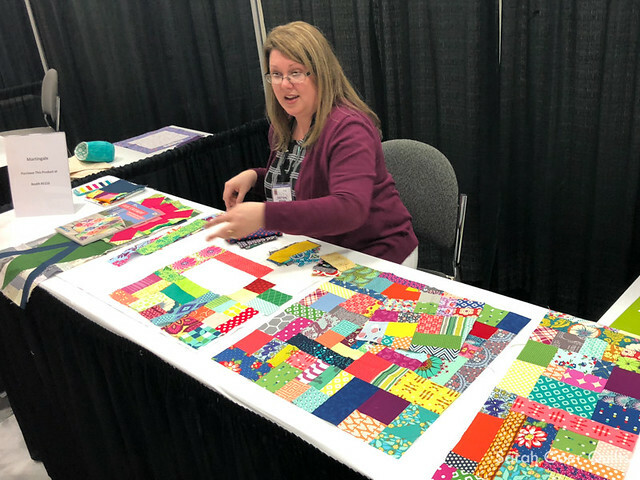 Overall, Quilt Market is for quilt shop owners to view fabric, patterns, and products in person, and to sit down with reps in these booths to place orders. Even though I wasn't a shop owner there to place orders, I had lots of opportunities to interact with industry professionals. Chatting with others in the industry is so beneficial. Many are very willing to answer questions about the way things work. This was the most beneficial aspect of the event to me personally. I enjoyed meeting in person with folks who I interact with online. 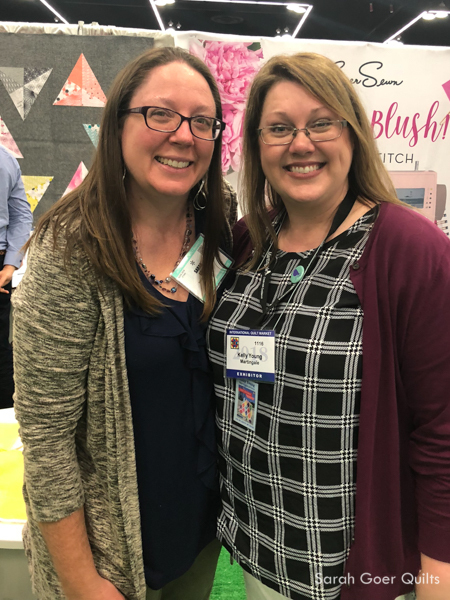 I spent my time walking the show with Sherry Shish and Jessica Caldwell, both of whom I know from the Island Batik Ambassador group, as well as Laurel Anderson who I recently met at a Meet the Teachers event. I met Katie Laughridge, Tara Curtis, and Kelly Young for the first time in person. 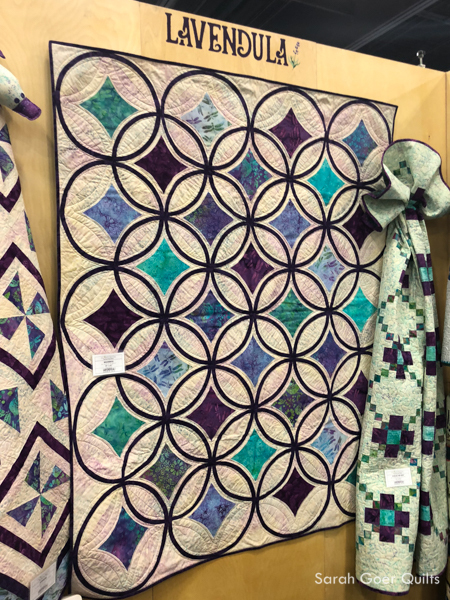 No picture of me and Katie, but here's Laura Piland's Moonrise quilt (in Lavendula) from the Island Batik booth. I love her unique raw edge and bias tape appliqué method for this stunning design. 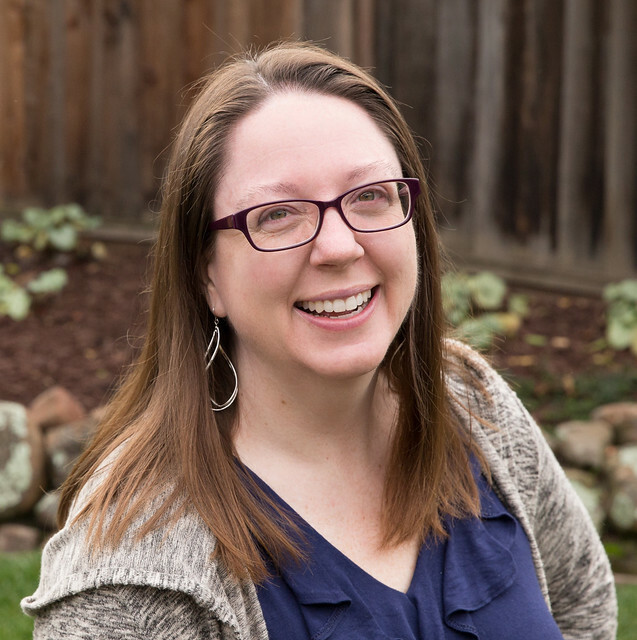 Katie does Marketing and Design Services at Island Batik and I've been working with her in my role as an Island Batik Ambassador. Tara is someone who I've followed on IG forever. She's the maker of the WEFTY needle for weaving fabric. Her booth was full of beautiful items. That blue quilt just sparkles! Kelly started blogging shortly before I did and I've followed her for years. 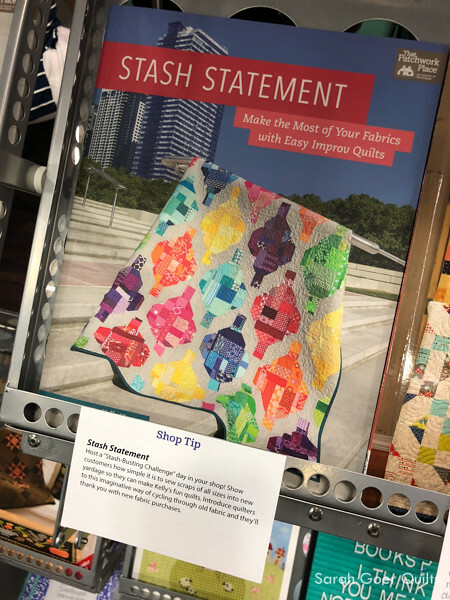 She recently published Stash Statement and I had the pleasure of creating a quilt from her book to share on my blog. It was so great to meet her in person. I stopped by her book signing and visited her demo in Demo Alley. And I was able to join her and her mom for dinner which was delightful. I was also able to chat with Christa Watson. I have long admired her open discussion about how things work in the quilting industry. 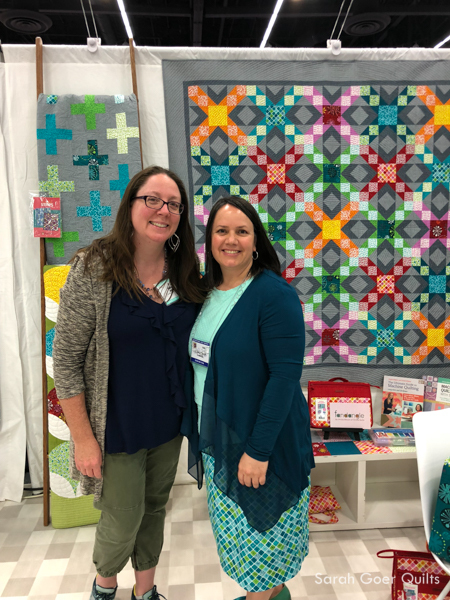 It was nice to visit with her and to see her beautiful new Fandangle fabric in person. My biggest take away is just how many roles there are in the quilt industry. There were many people in attendance that I just don't see in my everyday view of the quilt world on Instagram. And the industry is really so much about relationships. Take a peek in any designer's booth at Market and you'll see evidence of those relationships. For example, a sample made by another designer/maker, a quilt featuring the company's batting, a pattern partnership between pattern designer and fabric designer. I came home with a lot of information, and some new connections. I'm so glad I attended! 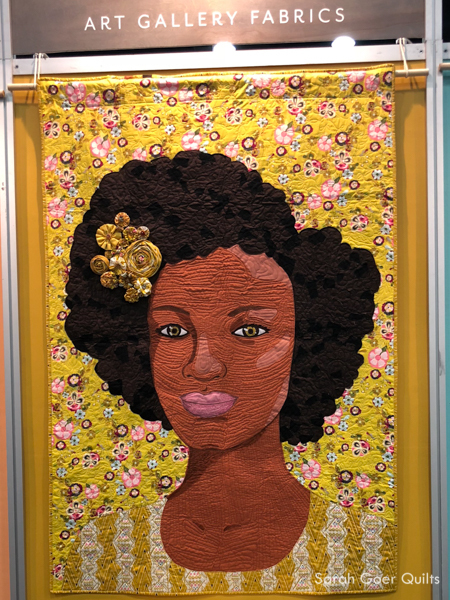 The Art Galley Fabrics booth featured these amazing quilts "celebrating the beauty of diversity and the power of being a woman." 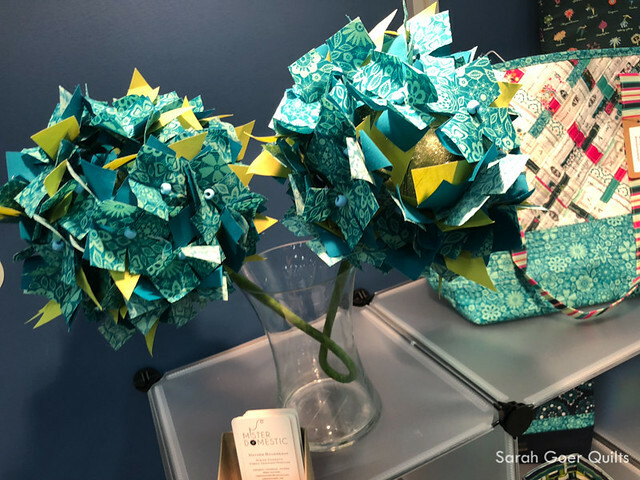 And in Mister Domestic's booth he had made these awesome hydrangea, using a product called Terial Magic (which basically makes fabric behave like paper). I was of course drawn to bold, saturated color. 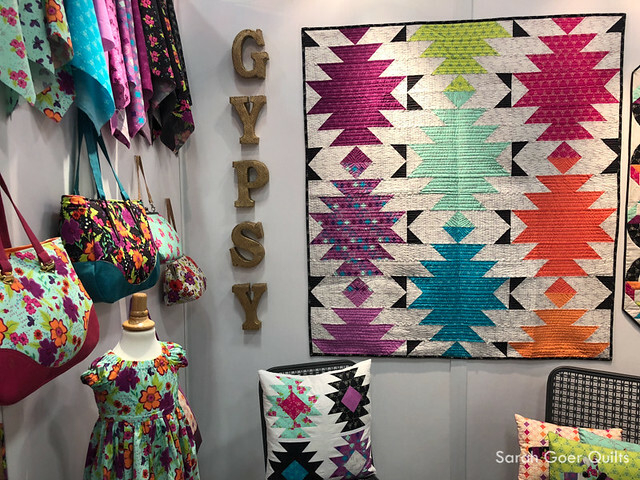 Jessica VanDenBurgh was debuting her first fabric line, Gypsy. 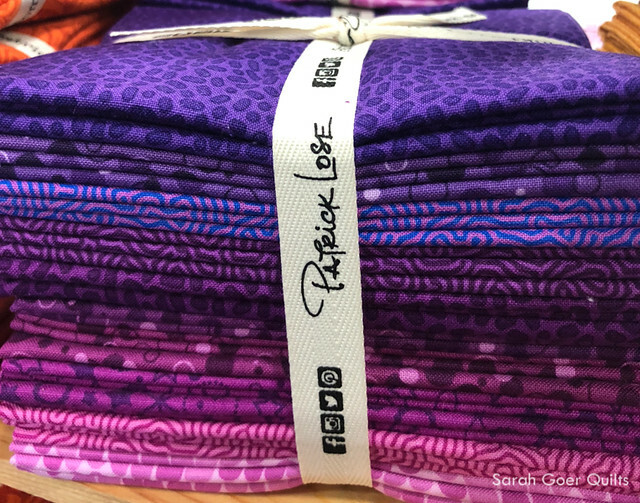 And this Patrick Lose bundle really caught my eye! 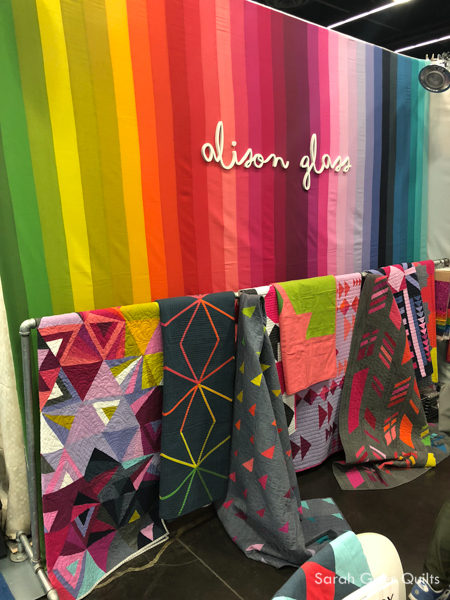 Two of my favorite fabric designers for their use of color are Alison Glass and Tula Pink. Their booths were stunning. My last stop of the day was to sit down and chat with Giuseppe of Giucy Guice. 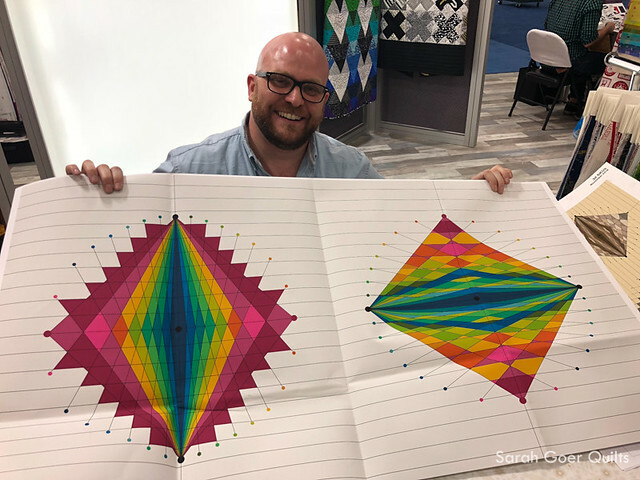 I even got to see the paper printouts of his upcoming line of fabric QUANTUM. Check out these marvelous 24" x 44" panels! I'm not sure when I'll get to attend again, but I had a great time and look forward to returning. Did you attend this or a past Market? What's your favorite part? 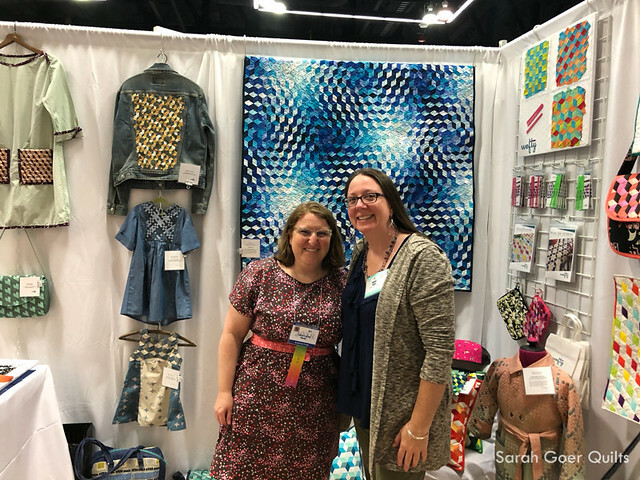 Posted in Quilting on May 29, 2018 by sarah.